The US today slapped "strong" financial sanctions on the dictatorship in Venezuela, barring banks from any new deals with the government.US President Donald Trump has signed an executive order imposing "strong, new financial sanctions" on Venezuela. 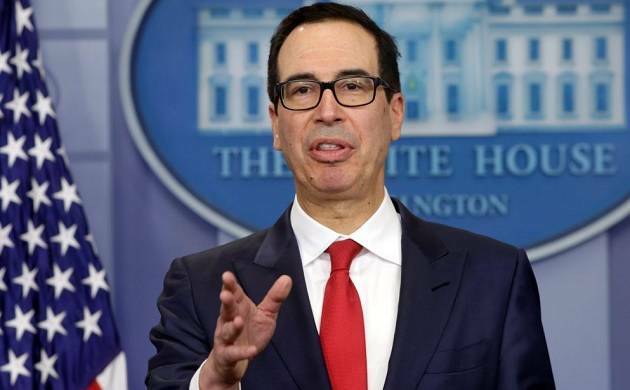 The US Friday slapped "strong" financial sanctions on the dictatorship in Venezuela, barring banks from any new deals with the government. US President Donald Trump has signed an executive order imposing "strong, new financial sanctions" on Venezuela. "We will not stand by as Venezuela crumbles. The president's new action prohibits dealings in new debt and equity issued by the government of Venezuela and its state oil company. It also prohibits dealings in certain existing bonds owned by the Venezuelan public sector, as well as dividend payments to the government of Venezuela," White House Press Secretary Sarah Sanders said in a statement after Trump signed the executive order. To mitigate harm to the American and Venezuelan people, the Treasury Department is issuing general licenses that allow for transactions that would otherwise be prohibited by the Executive Order, Sanders said. These include provisions allowing for a 30-day wind-down period; financing for most commercial trade, including the export and import of petroleum; transactions only involving Citgo; dealings in select existing Venezuelan debts; and the financing for humanitarian goods to Venezuela, she said. Sanders said these measures are carefully calibrated to deny the Maduro dictatorship a critical source of financing to maintain its illegitimate rule, protect the United States financial system from complicity in Venezuela's corruption and in the impoverishment of the Venezuelan people, and allow for humanitarian assistance. "The Maduro dictatorship continues to deprive the Venezuelan people of food and medicine, imprison the democratically-elected opposition, and violently suppress freedom of speech. The regime's decision to create an illegitimate constituent assembly and most recently to have that body usurp the powers of the democratically-elected National Assembly represents a fundamental break in Venezuela's legitimate constitutional order," she alleged. Maduro's economic mismanagement and rampant plundering of his nation's assets have taken Venezuela ever closer to default. In July, the Treasury sanctioned Venezuelan dictator Nicolas Maduro himself, alleging that his administration has attempted to undermine democracy and the rule of law in Venezuela. Last month the Trump administration warned of strong economic actions if Maduro's authoritarian government went ahead with plans to create a constitutional assembly comprised of government loyalists. But the Venezuelan government established the constitutional assembly which granted Maduro's party sweeping power. His officials are now resorting to opaque financing schemes and liquidating the country?s assets at fire sale prices, Sanders alleged.